High School players looking for a weekly game. No check, Rub-Out only, No boarding or Open Ice Hits. All games have certified officials. Weekly 1 hour game. Players sign up as individuals and teams are drafted. Hockey Finder Youth and Adult leagues are designed to make the game of hockey more fun. We encourage friendly play in a competitive environment and promote a more social atmosphere. Players sign up as individuals and based on their skill level balanced teams are randomly created. 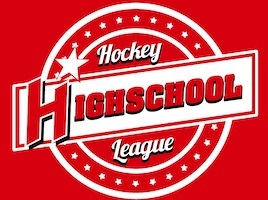 * Our leagues are a great alternative or compliment to more competitive leagues and are the perfect place for those looking for a more organized game than pickup or open hockey. A. for 3v3 leagues: There will be 2 games going simultaneously. Each game will have an assigned adult coach that will assist in line changes and general organization. We will rotate teams 2-4 times during each session. A. for 5v5 leagues: Each team will have an assigned permanent coach. Some levels will also have a team captain position available. Q. Can my player move up with the older kids? A. We provide all players with the option to move up. This is particularly common for players coming from higher levels of association hockey and those who are interested in playing with a friend or family member at a higher level. The League reserves the right to move players up and down according to their skill level. A.for 3v3 leagues: Teams are made randomly each week based on attendance. A.for 5v5 leagues: Teams are made after week 1 and set for the season. Trades may occur in order to balance teams as needed. A. The cancellation deadline for all divisions is one month prior to the start of the season for youth leagues. A $20 admin fee will be charged for cancellations. No cancellations will be processed after the deadline. You may request to move your registration to a future season or have it transferred to someone else. Note: we often have a wait list for players to join the league. If this is the case we can transfer the registration to someone on the wait list.